Late morning arrival and transfer to the Maidens Hotel (or similar) for 1 night. Afternoon tour of Old Delhi to see the Red Fort, Jama Masjid and Raj Ghat. Morning tour of New Delhi to see India Gate and the former viceregal residence, both excellent examples of British imperial architecture. Continue to the tomb of the Mughal emperor Humayun and the Qutb Minar tower. Afternoon drive to Agra and stay for 2 nights at the Radisson Hotel Agra (or similar) (breakfast included). 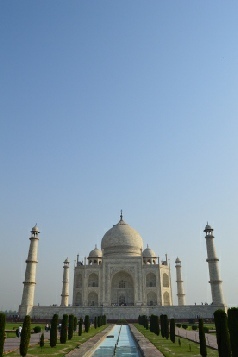 Early morning visit to the Taj Mahal, arriving in time for sunrise. After breakfast, visit the tomb of Itmad-ud-Daulah and Agra Fort. Optional excursion to see the Taj Mahal at sunset (payable locally) (breakfast included). Drive to Jaipur and stay 2 nights at Alsisar Haveli (or similar). En route, visit Emperor Akbar’s deserted 16th-century sandstone city of Fatehpur Sikri (breakfast included). Morning visit to the ancient palace of Amber Fort. Optional visit to the Anokhi Museum of Hand Printing where you have the opportunity to learn how to handprint your own scarf. Afternoon tour of the City Palace and the Jantar Man (breakfast included). Transfer to Bikaner, once a major trading centre on the caravan route linking central Asia with north India. Stay 2 nights at the Laxmi Niwas Palace, the former residence of the Maharaja of Bikaner (breakfast included). Morning visit to Junagarh fort. Afternoon at leisure. This evening, stroll through the old town of Bikaner, which has some of India’s best street architecture (breakfast included). Drive to Jaisalmer for an overnight stay at Fort Rajwada (or similar). Afternoon tour of Jaisalmer Fort, often referred to as the Golden Fort due to the colour of its sandstone walls (breakfast included). Drive to Manvar in the Thar desert. Following a visit to local villages, continue to the tented camp (see page 74 for details). Evening Rajasthani dinner and music amid the sand dunes, followed by an overnight stay at the camp (breakfast, lunch and dinner included). Drive to Jodhpur and visit the majestic Mehrangarh fort. Continue to the village of Rohet / Luni and stay 2 nights at Rohet Garh / Fort Chanwa (breakfast and dinner included). Morning at leisure. Afternoon 4x4 safari to visit the Bishnoi tribal villages (breakfast and dinner included). Drive to Udaipur via the exquisite Jain temples at Ranakpur. Evening arrival at the Lalit Laxmi Vilas Palace (or similar) for a 2-night stay (breakfast included). Morning tour of the City Palace and Jagdish temple. Afternoon at leisure (breakfast included). Transfer to the international airport and fly to Delhi to connect with the Jet Airways / Virgin Atlantic flight to London. The princely states of Rajputana, now Rajasthan, were once the domain of courageous warriors and lavish ruling dynasties. Following a tour of Delhi and Agra, this journey travels into the heart of Rajasthan and explores many of the region’s magnificent forts and palaces, atmospheric cities and stunning desert scenery.